Your bathroom is often regarded as the most dangerous room in your home. This can be increasingly true as you age. Taking a shower or a bath, for example, should be a calm and relaxing experience, but for older adults (and people who are recovering from surgery or an injury), bathing can be a frustrating and very difficult if not painful event. A majority of slipping accidents and falls also occur in the bathroom, especially among older adults with poor balance and mobility issues. Assistive tools such as a bath seat or shower chair can make bathing less of a stressful experience and much safer. 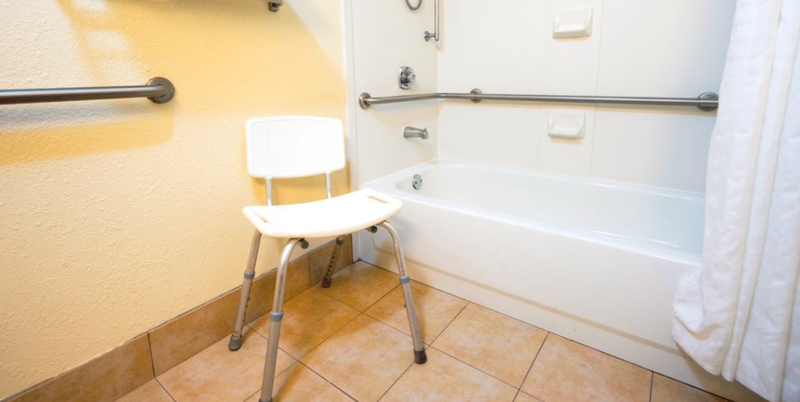 It’s not just seniors who can find benefit with using a shower chair; people with disabilities can use shower chairs to feel more independent as well as help to ensure their safety. Shower chairs also help if you have problems standing for more than a few minutes at a time. Another group of people that can see a huge benefit from a bath seat or a shower chair are those recovering from surgery or an injury. If you are recovering from a surgery then you know it can be painful just to move around, let alone get undressed and get yourself into your shower or bathtub. The same can be said if you are healing from an injury, especially one that reduces your mobility. Decreased mobility brought on by any condition or injury can put you at higher risk of slipping and/or falling. Shower chairs provide support and stability while you wash your hair, lather up, and rinse, and especially when you are entering and exiting the shower or tub. 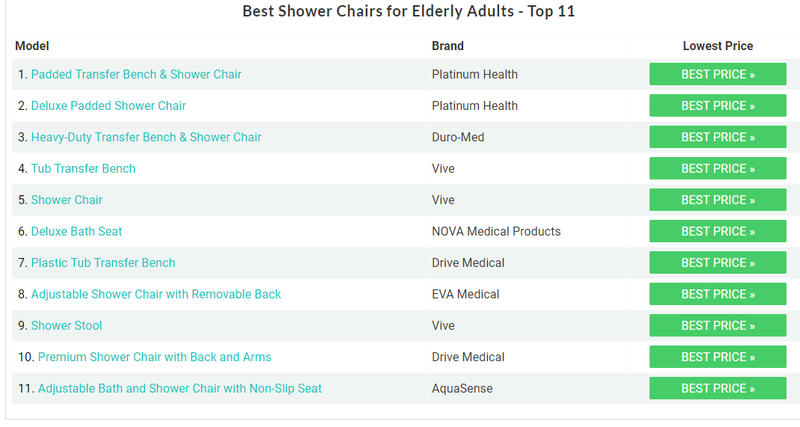 With so many different benches, chairs, and stools available for you to pick from it can be quite a challenge to find the best shower chair for you or your loved one. Here are some of the things that you should consider when looking for a shower chair, stool or bench. Safety is probably one of the most important factors when making your decision. Look at things like non-slip seats and feet, the structure of the seat itself, handles, padding, bright colors for high visibility, safety belts, and drainage holes. Some shower chairs are often more supportive than others due to how they are designed and what materials are used. You’ll want to make sure that you know how much weight the chair can support. Be sure to measure your shower or bathtub and assess which way you want to the shower chair to face (i.e. towards the faucet or away from it). Don’t forget about the extra space on the sides, you want to be sure you get a shower chair that fits. If you are looking for a seat or chair to be used long-term you will want to find one that is built to last. Features like rust resistant materials and durable and strong plastic seating is also easier to sanitize and keep clean. If you are looking for a device to use for a short amount of time for things like injury or surgery recovery, durability shouldn’t weigh too heavily on your choice. This article has been written by Joseph Fleming. 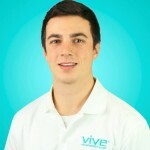 He is the co-founder Vive Health, LLC. Vive Health which provides highest quality health & medical products at a great value.